Hi, I'm Ed Smith, a Sacramento car accident lawyer. My law firm not only represents clients who have suffered personal injuries or property damage in auto accidents but also accidents involving motorcycle, truck, and bus. 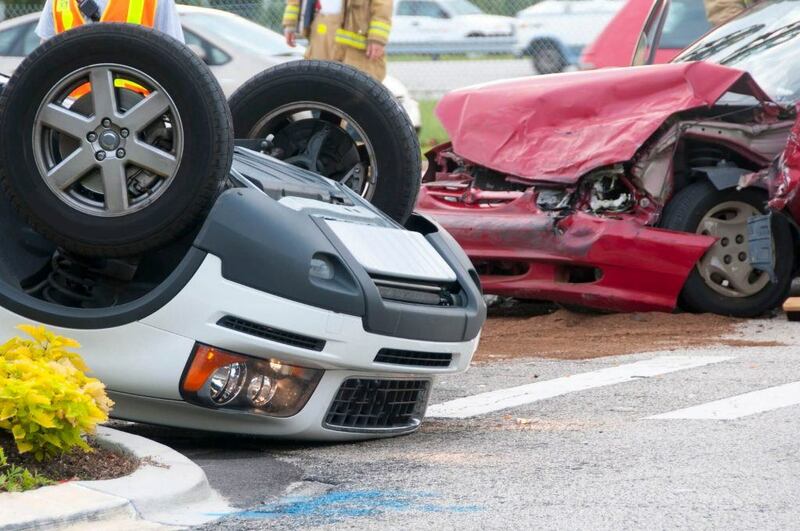 Additionally, my firm also handles other motor vehicle accidents including those involving drunk drivers or hit-and-run drivers, uninsured or underinsured drivers, as well as rollover accidents occurring from a motor vehicle, SUV or semi-tractor trailers. We also represent those injured in accidents resulting from defective products or design in automobiles and trucks, such as defective seat belts, tires or gas tanks. Injuries suffered as a result of these types of accidents can be severe and life-altering. You may have suffered whiplash or burns to your head or neck, have nerve damage or spinal cord paralysis, broken or dislocated a bone or limb, or even have lost the use of a limb. My firm understands that your immediate goals after going through such trauma are to get your medical bills paid and covered, make sure you do not suffer financially through any lost wages, and make sure your insurance company will pay for future treatment relating to your injury. When you call, we'll discuss your situation and go over all the options available to you - and as a Sacramento car accident attorney since 1982, I am very familiar with all that will apply to your situation. I will also work with insurance companies and other parties involved in your case to make sure all your needs are handled quickly and appropriately. I've put together a video below to explain what you can expect when you meet with me in our initial consultation. Q. I was in an accident on Highway 80 driving my motorcycle. I had changed lanes from the middle lane to the slow lane preparing to exit the freeway. I had made the lane change and was in the slow lane for about 10 seconds when I was rear-ended by a driver who simply wasn’t paying attention to the road. I suffered serious injuries as a result. A. I was immediately taken to UCD and the when the police interviewed the driver that struck me, she lied and told the officer that I swerved in front of her at the last minute and could not avoid me. This is entirely true, but I'm wondering how I might combat her testimony? “Did you witness a motorcycle-car collision on December 2nd near Marconi Avenue? In the ad, we'll let them know you were seriously injured and would ask for any helpful witnesses to come forth and call you. If your accident happened on a busy freeway, presume there were witnesses and that you will find them. Often, these efforts are successful. If not, an experienced Sacramento car accident attorney would file suit on your behalf and immediately take the deposition of the other driver. By skillfully asking questions, often, even a lying or evasive party can be led into admitting total or partial fault. I'm Ed Smith, a Sacramento car accident lawyer. Car accidents can leave you with lifelong complications. If you or a loved one has been injured in a car accident in Sacramento or surrounding areas, contact us online or call us at 916.921.6400 or 800.404.5400 for free, friendly legal advice. I have been helping Sacramento-area residents receive full compensation they deserve for personal injury and wrongful death cases since 1982. See a list of our previous verdicts and settlements. I am a member of the Million Dollar Advocates Forum and the National Association of Distinguished Counsel. If your auto accident has left you in need of quality auto parts, please see our friends at carpart365 who have been in the auto parts industry for 20+ years, and have the ability to locate any part anywhere in the United States.